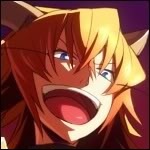 Hello thread, I am here to ask if there is any point to keeping dupes of 4* or 5* servents outside of weird otaku obession? Or just feed any I've got to the version of the card I've developed to buff their NP? dupes literally have no purpose outside of increasing np. I don't really care for gil so not sure why the heck I did that? 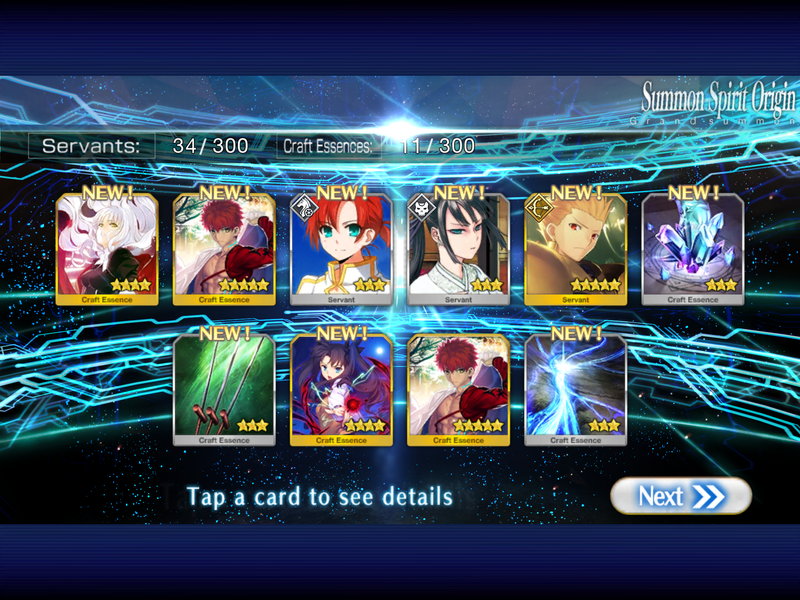 I did the same thing for some reason, but at least I had a chance for Nero. 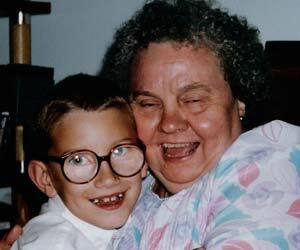 Whom I still don't have. Well, great. 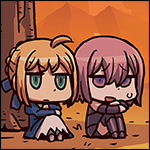 I didn't get Gilgamesh but I got Artoria and that Kaleidoscope thing. Now it's harder for me to leave this account with two 5* characters and reroll. Leveling up NPs is good. Hell yeah. Time to eat yourself Lancelot! I'm gonna max all my lancers, assassins and berserkers today at this rate. Which, if any, of Hercules' abilities do I want to enhance? Dodge to work towards lowering the cooldown. Quests changed, guess I'll level my Sabers/Riders/Berserkers now. Ugh, I only need 1 more caster piece for that 2nd ascension. Thanks to these half off dailies I'm having trouble justifying any main plot progression. 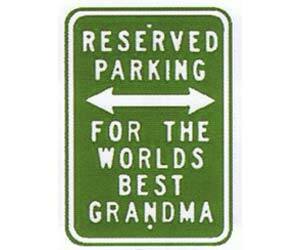 Eh, mine's sitting at 64 now. Just have other Servants I've been leveling up instead now for the most part. Some exp cards are still being tossed that way every now and then. 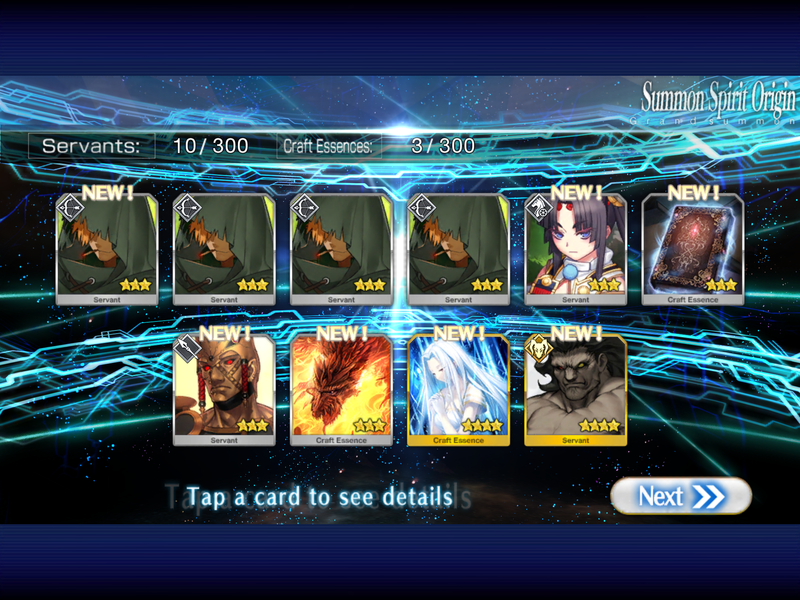 My beginner 10 pull gave me three 4*'s, two of which were Berserker and one was Martha. Very weird. And the second. Which notably, I haven't picked the free 4* servant yet. Objectively speaking neither of these are super good with multiple 5* or whatever like folks willing to do a hundred rerolls get, but they both seem solid. Just, which is a better base? My instinct seems the second, but if so, which servant to go with it too? I have reached the point where I am running out of units to level that I care about. Even Saber Lily is getting a turn now. Decided to buy 33 dollars of Quartz so I could do another 2 10 pulls, in hopes of getting either Atlante or Lancelot. Got a bunch of 5* CEs, a few new ones, and Lancelot. I am content. 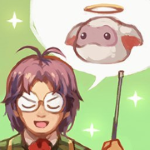 E: and because I am without a good archer other than Robin, EMIYA it is. I've been beating up a fat man for hours trying to ascend best saber. At the very least Gaul has both the drops I need for her. Go with the second and pick herc or emiya for the 4*, imo. I'm rolling Jeanne/Cu/Support and that does fine with Hercules in reserve. So second pick. Yeah this was my thought. Herc's done real well on the first save, but Lancelot kinda does the same job if not quite as effectively and I don't have a good 4* archer yet. Hmm. I couldn't get Gilgamesh but I am a loving Kaleidoscope magnet, I have 3 now. Are the daily quests that give out ascension/skill items still "bad"? I'm not sure if they were bugged or if they were just not as good as the ones in JP. Today's Event Dailies have a chance you fight Fafnir/a giant-rear end dragon that can drop those Scales. Does the rule of doing the highest AP for hunting quests applies or do you actually have a choice on what gives what? Once I got Jeanne to 70 I had juuuust enough AP to finish Septem/Rome, so I'm glad to have that done. 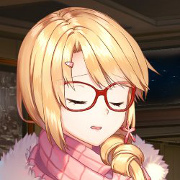 By my calculations I could roll a few more times with the quartz from unfinished free quests but the thought of rolling again is just too depressing at this point. Might as well just wait until he shows up again, with presumably other/better servants also in the pool. I actually don't have too many units to level up at the moment, other than a few odd levels for some of my lesser used ones. Which means I guess my AP at this point is probably better spent on farming pieces. Kind of/sort of depends on what you want for the hunting quests since they do have different enemy sets for reach rarity. That said, most of the lower AP options contain stuff that you could farm with some success from free quests whereas the the highest AP option contains stuff you only can farm from it while also containing the rarer of the lower AP enemies. And they have a guaranteed chest during the third wave even if it'll usually be a skill gem of some rarity. For the friday quest, at least during half-off, you could do the middle level for chimera drops at less AP than germania. Still you probably shouldn't, but if you're absolutely desperate for claws it's the currently best available option. There's absolutely no reason to do the middle option for the thursday quest. edit: Now that I've tried it several times either I'm really lucky or the chest is guaranteed for 20AP (10AP right now) monster hunts as well. So, probably a good idea to try to kill the chimera if you want claws. Lucky, was fortunate enough to get 4 dragons back to back but no wing drop. Are you running the max AP one? Anybody have any luck running this on an emulator. Yea, it works fine. There's a post for it on reddit. It's my primary means of playing since my phone is nigh-incapable of running it. Go the Grand Order reddit and search for memu. I hate dragon fangs. Please orleans, I've given you over 600ap now. Apparently, it truly was class <Archer> time!